This is a toy that your kid will not stop talking about. You will be the leader of the flock on the block with one of the coolest ATVs ever made. Product Dimensions: 68.5L x 43W x 48H cm. This toy costs approximately £44.99 (for the latest and best prices make sure you check our retailer list for the Racing Quad above). 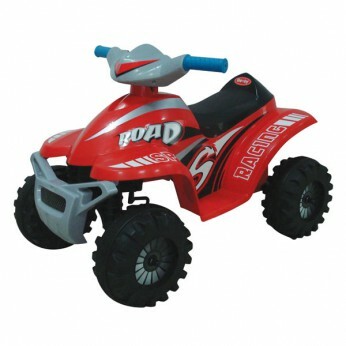 In our review of Racing Quad we classed it as being suitable for ages 1 to 3 years but recommend you check the manufacturer specific advice before purchasing.